Government officials, technologists, academics, activists, and others are grappling with the pros and cons of implementing 5G, which includes download speeds 10 times faster than current smartphone connections and has the potential to allow many more devices to communicate simultaneously, greatly reducing lags in service. The overall effect would be a speedier, more seamless experience while using the internet on smartphones and other 5G-compatible devices. 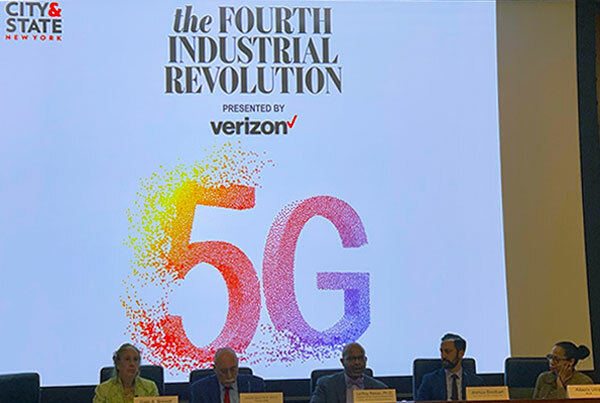 Last week, at a conference co-sponsored by City & State and Verizon, titled “The Fourth Industrial Revolution,” one panel of experts delved into the 5G discussion as it relates to New York City’s connectivity, public health, and safety. Manhattan Borough President Gale Brewer along with Joshua Breitbart of the mayor’s office of the chief technology officer, LeRoy Reese, associate professor of health at the Morehouse School of Medicine, and Jerome Hauer, a senior advisor for the Teneo Risk consulting firm, spoke about the potential of 5G networks to improve New Yorkers’ lives, as well as some of the concerns around the technology. From a technology perspective, 5G (“G” stands for generation) is promising in sheer speed. It’s 10 times faster than the current 4G connections available in New York City, according to Leecia Eve, Verizon’s vice president of public policy (and a 2018 candidate for New York Attorney General). 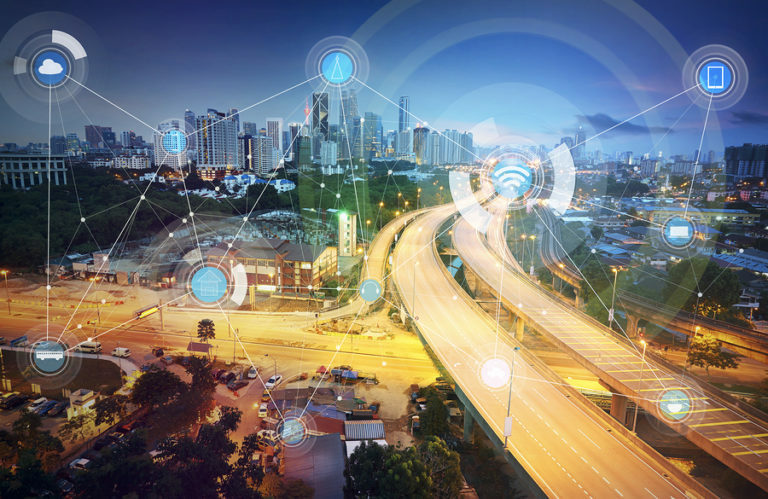 Latency, or delay in sending data across a network, is practically non-existent in 5G compared to 4G, the latter being the current “generation” of wireless networking. 4G connectivity is still being rolled out across the city, said Samir Saini, commissioner of the city’s Department of Information Technology and Telecommunications (DoITT), during a March 7 City Council budget hearing. Last month, Verizon was the first telecommunications company to launch 5G networks in Houston, Los Angeles, and Sacramento, among other cities, according to Eve. Michael Pastor, general counsel for DoITT, said during the March budget hearing that it is currently reviewing submissions from mobile telecommunications franchises, with an eye towards 5G. The public health benefits of 5G could be enormous, according to Reese, citing its use for telemedicine in areas underserved by primary care doctors. Smartphones collecting personal health data could also be used in telemedicine, he said, through the devices’ diagnostic information. “It’s less about speculation and opportunity to improve quality of health in communities. 5G helps us level-set, and move in the direction of health equity,” said Reese. City officials, however, have a more immediate perspective on how 5G would affect New Yorkers. Under-connection is still a significant issue in some parts of the five boroughs. Democratizing internet access has been a goal for the de Blasio administration, which in 2015 made a $70 million commitment to covering the city with broadband access. As of 2018, according to an annual report by OneNYC (the city’s broad roadmap to address social, economic, and environmental issues), 69% of New Yorkers have a broadband subscription, while 28% have free wireless internet access within an eighth of a mile from their homes. Advocates share concerns around equal distribution of internet resources. Members of NYC Mesh, an organization that provides cheaper wireless internet through a group of volunteers who place routers on their windowsills and rooftops, believes the city should work with residents to ensure an even rollout of 5G and any new technology. In order to be launched, new 5G-capable sensors would need to be installed across the city. New York City’s dense infrastructure adds to the difficulty of deploying 5G for residents. Brewer, who prior to being elected Manhattan borough president chaired the technology committee in the City Council, and helped pass the city’s open data law, pointed to the issue of the sensors’ inability to penetrate the walls of some buildings, notably ones owned by the city’s public housing authority, which in turn affects residents living there. The timeline for sensor installation, said Brewer, is quite a while. Saini of DoITT said similarly at the March hearing. “When you have a multi-family complex, and you have small cells deployed around the perimeter, the 5G signal, and all the benefits of the gigabit-plus speed, actually aren’t realized within the home,” Saini said. In addition to the challenges facing any deployment of 5G, residents are concerned about potential health risks of radiation exposure to the new network’s frequencies. According to Brewer, her office had received approximately 30 phone calls over the prior three weeks from Manhattan residents concerned about the related health impacts. “The scientists say it’s not an issue, but then you’ll see some scientists who say it is. I don’t know,” said Brewer. According to the latest guidance from the National Cancer Institute, studies on the relationship between radiation from cell phone use and cancer have not found a correlation between the two. Rasmussen also cited privacy as a concern with 5G, as its fast speed is suited to what is known as the Internet of Things (IoT). With IoT, everything from coffee makers to light switches can be connected to the internet, which can in turn gather data from those connected devices. “People should be concerned. Their data will go into algorithms and artificial intelligence decision-making, impacting their lives, and it exercises opportunities for corporate control [of their data],” he said. Brewer’s final comment last week summed up the immediate future of New York City and 5G. “I still think it needs discussion,” she said. What Mark-Viverito was getting at - something discussed in several forms over the course of the event and on an ongoing basis - is the idea of using data about civic life, people’s needs, and government services to make things work better while ensuring equity. Late last year, the City Council approved the final bills of a package amending and adding to the 2012 Open Data law, which created the Open Data Portal, but the legislative action has been met with mixed reviews and questions about the portal’s effectiveness remain. Data available includes the extent to which city school buildings are being used, taxi trip pickups and dropoffs, tree censuses, requests made to the city’s 311 help line, general city budget spending, and much more. The two newest laws seek to ensure city agency compliance with the Open Data Law, particularly regarding timely release of data, and updates to the Open Data Portal with information released through Freedom of Information Law requests (often known as FOILs). Both are part of ongoing efforts to make the portal more useful. The more quickly data is released, the more useful it is. On Nov. 30 of last year, Mayor Bill de Blasio signed into law the five prior bills from the open data package. While “open” is important, “usable” is really the key word, according to data experts. The open data law and portal are part of efforts to make government transparent and accountable. In theory, data is to be made easily available - and in a useful format - for interested parties, who can use it to help solve city problems. The portal currently offers 1400 data sets through dozens of city agencies and other entities. While there is a wealth of information available, and hundreds of data sets still to come online, it is not always clear who uses the open data portal and to what end. 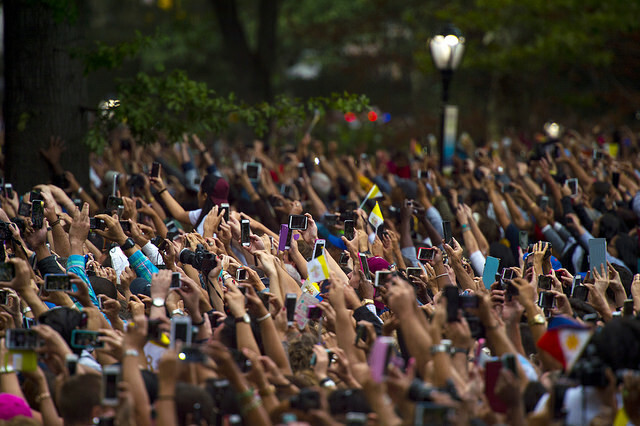 How many New Yorkers even know about the availability of so much data? And, getting back to usability, there are also significant questions about the format in which data sets are often published. Still, open government advocates continue to say that it is an essential feature and push to see it improved. Public, usable data, they say, is key to holding government accountable and opening up policy-making to a broader audience, including people outside of government able to help solve a wide variety of problems. BetaNYC, a nonpartisan group comprised of civic hackers and technologists that has worked with government actors to improve the city’s embrace of civic tech and open data, features a digital project list currently being developed by the NYC tech community. HeatSeekNYC, “a web-enabled hardware platform to detect heating violations in NYC”, and NYC Bus Adherence, “tools for analyzing and visualizing MTA Bus performance data,” are two examples of data-based projects moving civic discourse. Since the passage of the 2012 open data law, there have been other modifications. In 2014, de Blasio signed into law two transparency bills which require the City Record, a daily publication of city business, to be published on the open data portal in a machine-readable format; the City Charter, the Administrative Code, and the Rules of the City of New York to be published online; and the compilation of laws updated within 30 days of any change. In July 2015 the de Blasio administration released a new plan for the portal, Open Data for All, which emphasizes community partnership and focuses on making data sets accessible and user-friendly for all New Yorkers. “[Open Data for All] means it will be easier for people, even those with no programming experience – like myself – to find the information they want, and better ways to utilize that information,” said de Blasio. De Blasio’s rhetoric shows a typical shift from remarks by his predecessor, Mayor Michael Bloomberg, who remarked that sharing data with the public “[catalyzes] the creativity, intellect, and enterprising spirit of computer programmers to build tools that help us all improve our lives.” The evolution of the portal is aimed at ensuring that every New Yorker, not only computer programmers, will be able to utilize and benefit from the information being made available. The Mayor’s Office of Data Analytics (MODA) and DoITT led a citywide engagement tour, assessing the needs and priorities of New Yorkers, across user types and domain areas. Throughout the fall, Dr. Amen Ra Mashariki, Chief Operations Officer at MODA, met with CUNY students, community groups, civic leaders, and others. MODA intends for the engagement tour to culminate in a Open Data Summit. “[The summit] will bring people together who we’ve engaged over the citywide tour and let them know what we’ve heard from them and then we will identify strategies,” Dr. Mashariki told Gotham Gazette in an interview late last year. At the “summit,” MODA and DoITT will identify strategies seeking to build an open data ecosystem prioritizing expanded access to data sets, high data quality, and enhanced portal usability. “Increased access to data is critical for open government and transparency in the digital age,” said Minerva Tantoco, the city’s Chief Technology Officer. Technical and community engagement challenges remain as the open data portal continues to be refined and expanded. It is one often lower-profile way in which the de Blasio administration’s reputation for government transparency and effectiveness will be formed. PDF documents, unlike an Excel spreadsheet, are not in machine-readable format, which Wellington and others argue creates a long-term problem for civic technologists who end up spending a large amount of their time extracting data rather than analyzing it. “It’s just not a good use of advocates’ time,” Wellington told Gotham Gazette. Wellington has become known for using government data to show trends, point out problems, and identify potential solutions. He delivered a popular TED talk in 2014 using big data to give insight for the “worst” places to park in New York City. Wellington’s blog features many articles crunching numbers to illuminate topics from “Trump’s Unpaid Bills” to pay raises for City Council members. 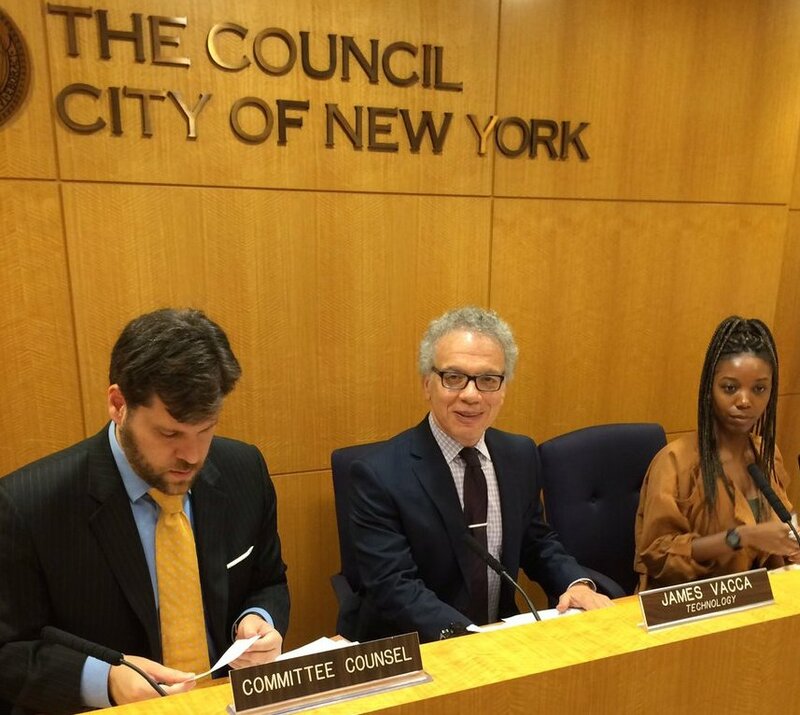 City Council Member and Chair of the Committee on Technology James Vacca has concerns regarding another aspect of city data - like with quality, the timely release of data from city agencies leaves much to be desired. Vacca sponsored a bill passed by the City Council and signed into law by Mayor de Blasio, which mandates a city office or agency examine the compliance of mayoral agencies posting public data sets under the open data law. Wellington suggests that a position should be created in every city agency - an “open data liaison” - to act as a point of contact for the public and be responsible for any inquiries about information released by the agency. “Today, there’s no way for the public to understand who’s responsible for any dataset,” Wellington noted, which can only further obfuscate any process of data clarification, sourcing or transparency. The New York City Transparency Working Group (NYCTWG), a collection of civic technologists, data advocates, and good government groups, has argued that FOIL (Freedom of Information Law) requests should be published online through a centralized tracking system akin to the open data portal. 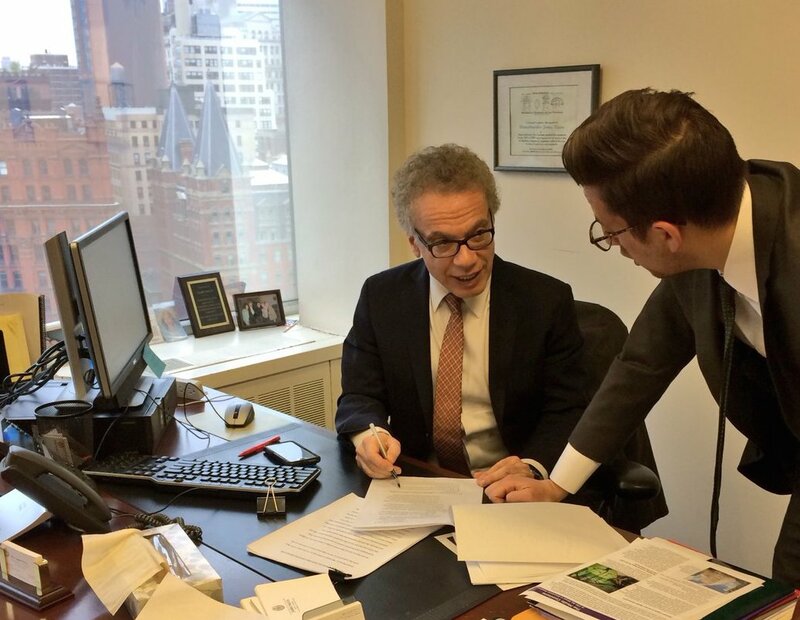 Earlier this month, the de Blasio administration launched “the OpenRECORDS portal.” It is “designed to streamline the process of submitting, tracking, and responding to Freedom of Information Law (FOIL) records requests as we work toward becoming a more transparent and effective government,” the mayor’s press office said in an announcement. Along with Vacca’s bill, another also approved by the City Council and signed by the mayor requires agencies to individually review all data released through FOIL requests and determine if the information should be posted on the open data portal. The thinking goes that if one person or group is interested in a certain data set, others probably are, and that if the information is being released publicly in one sense, why not make it generally available. As mayor, it took de Blasio some time, testing the patience of open data advocates, but he has now launched a systemized and centralized portal for FOIL requests. Noel Hidalgo, co-founder and executive director of BetaNYC, believes that Open Data for All is helping to facilitate more public involvement in the open data portal and wants open data to be used regularly to solve civic problems. 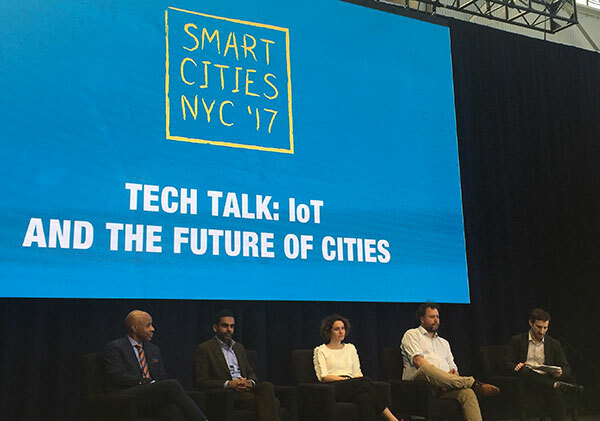 “We’re at the point [with open data] where it’s not just about making an app but about making a culture, an understanding of how to use data for improving New York,” Hidalgo told Gotham Gazette. Last year, Mayor de Blasio announced a public-private partnership to launch Computer Science for All, a computer science education program for every city public school student. As a new generation of students learn web design and coding technologies, Hidalgo hopes it will translate to increased interest and participation in civic hacking. “We fundamentally believe that there is an opportunity to enhance digital literacy through civic education and we would love to see that embedded within the computer science program,” Hidalgo said on behalf of BetaNYC. One essential question for open data is whether it is being used beyond the Ben Wellingtons and Noel Hidalgos of the world. In other words, are community activists and those without advanced data science training using the city data? Juan Camilo Osorio, Director of Research at the NYC Environmental Justice Alliance (NYC-EJA), says, like Hidalgo, that a cultural shift is necessary to understand the capacity for individuals to be involved in an open data ecosystem. Osorio wants to challenge the model that community organizations function only for public outreach. “These organizations are part of community-based planning and can do research provided with the right technical and financial resources,” he said. Osorio thinks the open data portal has great potential to be used by community organizers - not just computer programmers or data analysts. City Council Member Ben Kallos, a software developer and long-time advocate for government transparency who now chairs the Council’s governmental operations committee, agrees that free trainings should be offered for New Yorkers interested in learning how to use the open data portal. He suggests partnering with the city’s three public library systems (New York Public Library, Brooklyn Public Library and Queens Public Library) to train librarians who can teach patrons to use the open data portal as a research resource. Featuring the open data portal on library websites and other logical online research centers would be helpful in expanding usership and public awareness. Kallos acknowledged that New Yorkers must have basic access in order to use the open data portal.